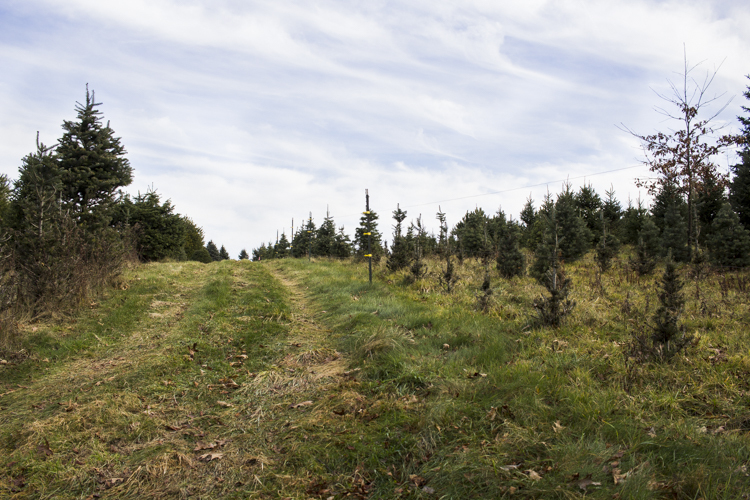 On Wednesday, Brian and I decided to avoid the weekend crowds and go to a Christmas tree farm to cut our own tree. We cut our own last year and it was a good experience. This year was even better. My dad let us borrow his truck instead of putting the tree in or on my car. 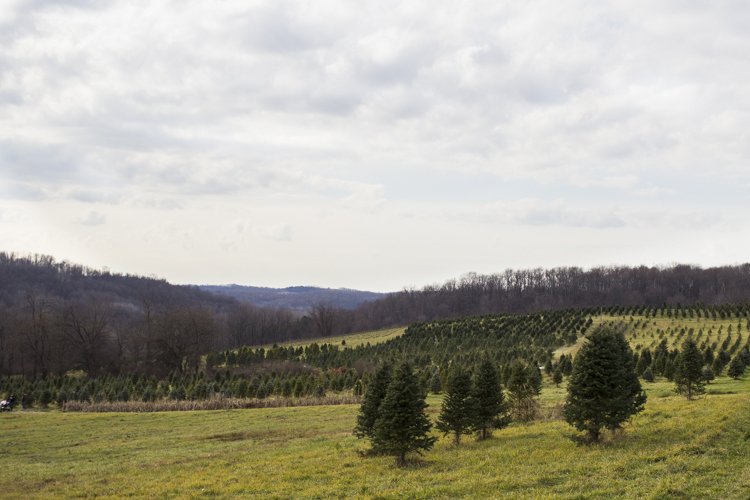 We headed out before noon to a tree farm about 45 minutes from home. We decided to try this new place since it was off the beaten path. I was so disappointed. The trees were pricey and the guy working wasn’t happy to see us whatsoever. After walking about a mile, we decided it wasn’t worth it. It was nice area, but not for us. We headed to Grupps Tree Farm in Harmony, PA. It was totally out of the way from where we were, but it’s where we got our tree last year. Another 45 minute drive and we were greeted by the owner. There was another couple and us. It was nice to not have to deal with the crowds and have a cart for our tree. The owner passionately explained to us the different trees and was happy to see us. We felt very welcomed. 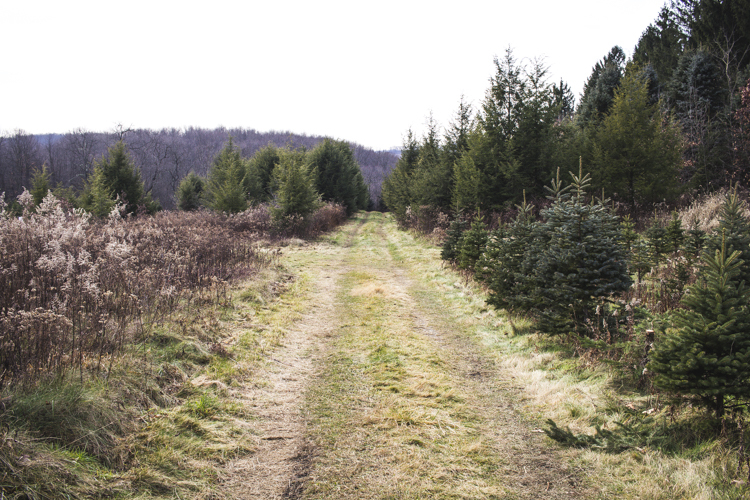 Once we were educated and had an idea what we were looking for, we headed out to hunt for a Canaan fir. We found the most perfect tree within 15 minutes. I am so happy with our choice. The tree looks beautiful in our living room. The first night we decorated it with just lights. 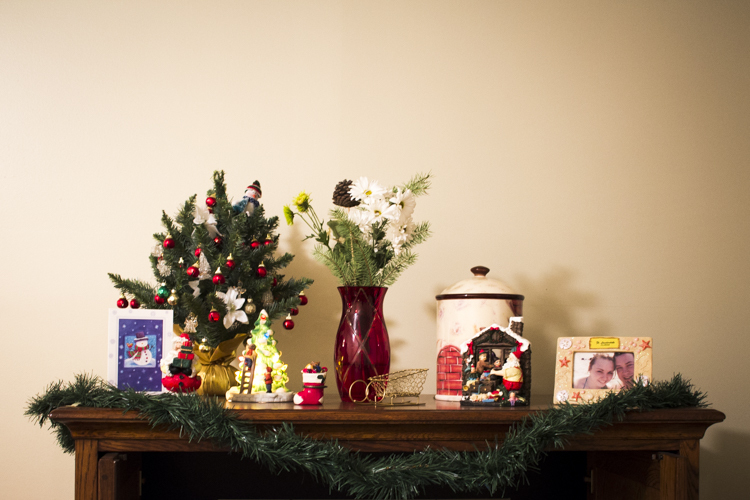 I was too exhausted from the day to put up ornaments. Our apartment is looking so Christmas-y this year. And I think we started a new tradition for tree hunting. 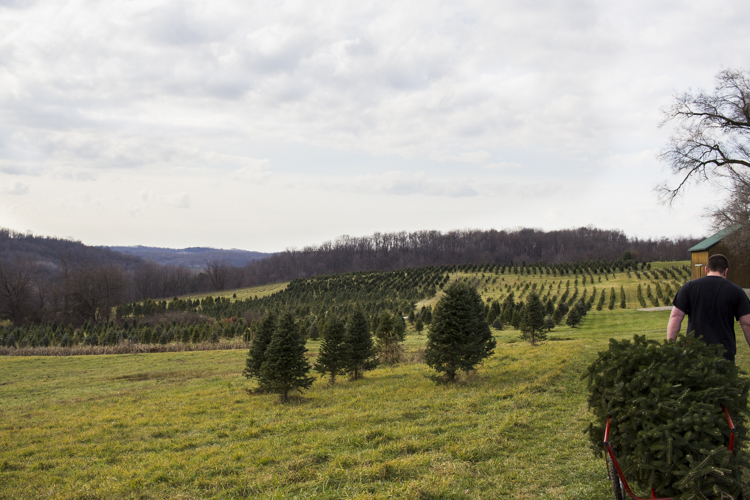 We will be going back to Grupps Tree Farm each year. 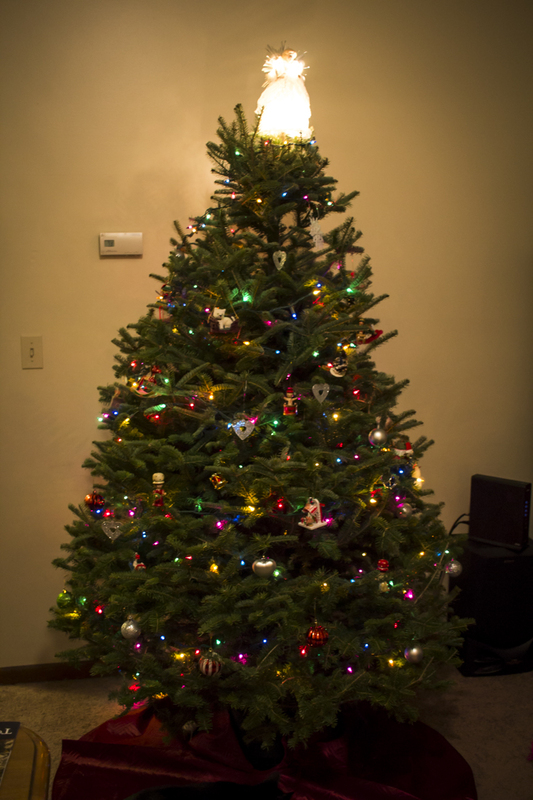 I finally added ornaments on Saturday. 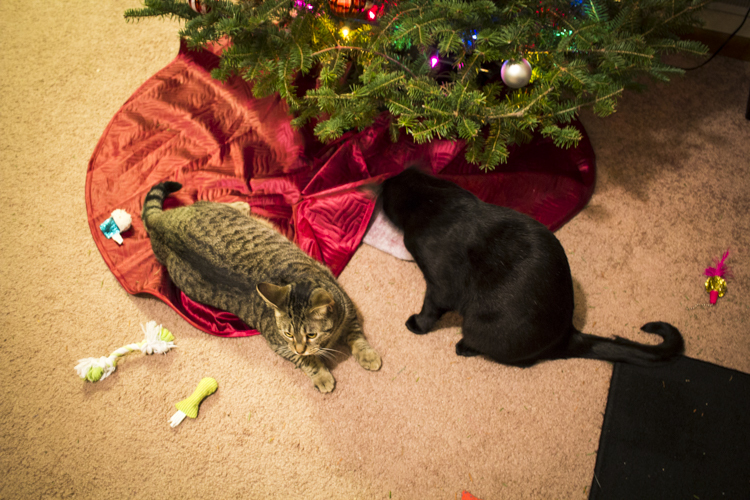 The tree skirt doesn’t last long with the kitties. 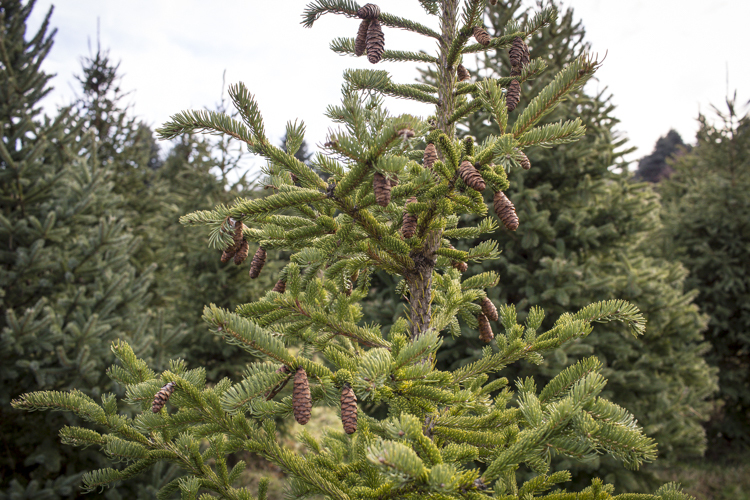 Do you have a Christmas tree hunting tradition?